Just nine days after the NLL and the NLLPA agreed to a deal that will allow the 2013 season to go forward with the same CBA as 2012, there have been all kinds of moves involving every team in the league. The Bandits named Steve Dietrich their new GM, the Stealth re-signed head coach Chris Hall and signed a five-year lease with Comcast Arena, the Roughnecks and Mammoth announced a pre-season game in Langley BC, the Rush re-signed GM and coach Derek Keenan, and there were no less than five trades involving seven teams in only two days. 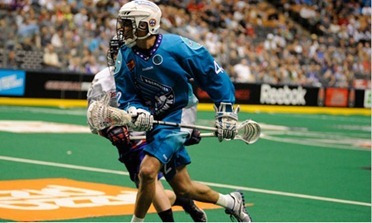 The first trade was the Rock sending holdout Aaron Pascas to the Roughnecks for a third round draft pick. This is one of those deals that looks worse than it is – in an ideal world, Pascas is worth more than a 3rd round pick. But he’s a BC boy who has already missed an entire season due to work commitments, and so perhaps the Rock decided that getting a pick was better than the nothing they may get if he can’t play in 2013 either. The Roughnecks get a scorer for the left side who is young and yet has won a Championship. If Pascas has scheduling issues with his job as a firefighter, it’s more likely that he’ll be able to make games in Calgary than in Toronto, so it’s a good deal for him as well. A few hours after the Pascas deal, the Swarm sent forward Kevin Ross to Philadelphia for a first round pick way off in 2015. Swarm owner John Arlotta said that Ross will “get the chance to play closer to home”. Home for Ross is London Ontario, which is nine hours from Philadelphia and fourteen from St. Paul. (Note that I am Canadian, and in Canada we measure distances not in miles or kilometres, but in driving time.) Cutting down your commute from 14 hours to 9 is not much of an advantage, really. Perhaps the flights from southern Ontario to Philly are shorter than to Minnesota, though I can’t imagine it’s much of a difference there either. Anyway, Philly is pretty happy with the trade, especially when you consider that Ross scored 9 points against them in one game and 5 in another last season. Swarm fans were less thrilled since they lose Ross’s 59 points and get nothing in return for over three years. A day later, three trades rocked the NLL, as the Edmonton Rush finally made the trade that everyone has been waiting for since February, sending Paul Rabil to Rochester for Jarrett Davis. The Rush finally have something to show for Brodie Merrill – but the whole Merrill / Iannucci / Rabil drama has been done to death so I won’t give all the details again. Davis is a very good player even if he’s no Merrill or Rabil, so at first blush it would seem that the Knighthawks clearly win this trade. Adding someone of Rabil’s calibre makes the reigning Champions a far better team, and that’s not something that Rock, Bandits, or Wings fans want to hear. But then again, Davis may actually put on a Rush uniform at some point, which is more than Rabil ever did, so the Rush are up one transition player and down nothing. This is a pretty good deal for both teams. Well, in that trade they’re down nothing. Associate captain Shawn Williams will not be returning to the Rush, so they are down a scorer as well. The Rush traded Williams, who was a few days away from becoming an unrestricted free agent, to the Minnesota Swarm for draft picks. But Williams’s career as a member of the Swarm was just as long in terms of games played as that of Anthony Cosmo or Josh Sanderson, as he was immediately shuffled off to Buffalo along with Brendan Doran and more draft picks for Buffalo’s first round pick this year. The Swarm now have the #2, #3, and #4 picks in this year’s entry draft. The Bandits pick up Doran, a “young gritty defenseman” says Steve Dietrich, as well as the veteran Williams. Willy is fresh off a season in which he reached the finals, scored his 1,000th NLL point, and set an NLL record for most consecutive games played (190+ and counting). The move reunites the 38-year-old Williams with 43-year-old John Tavares, who played together in Buffalo in 2000 and 2001, and gives the Bandits another legitimate scoring threat. I wouldn’t say the move immediately propels the Bandits into first place in my 2013 NLL East division rankings, but it certainly raises some eyebrows for anyone looking at how the Bandits might recover from the 2012 season, which was terrible disastrous horrific less successful than they might have liked. So all of those trades happened in just two days. The 2013 NLL season doesn’t start for over five months. It could be a busy summer. The other day, I covered the first major NLL personnel change this offseason, the firing (actually, non-re-signing) of Dave Pym. The other move that was made was the Bandits removing the “GM” title from Darris Kilgour’s business cards, leaving him with just “head coach”. The Bandits’ press release plainly stated that they were unhappy with how the team has performed over the last couple of years. Midway through the 2012 season, I wondered if Darris’ days in Banditland were numbered and I guess Bandits ownership agreed with me, though I did say it was unlikely that he’d be fired from one of his roles and not the other. In that article, I concentrated on Kilgour’s tenure as head coach and didn’t really look at his record as a GM, so let’s do that now. In terms of drafts, it does appear that he’s been less effective in the past few years than at the beginning of his tenure. In his first five NLL drafts, Kilgour drafted Billy Dee Smith, A.J. Shannon, Delby Powless, Jeff Shattler, and Brett Bucktooth in the first rounds. Shannon was a bust because of injury problems, through no fault of Kilgour. 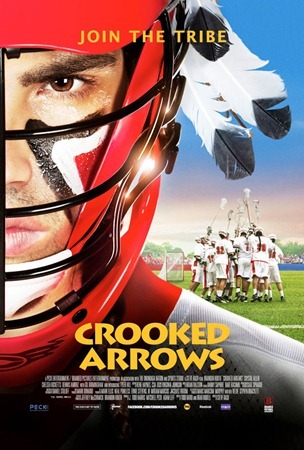 Powless never became the star some expected him to be, but he was an effective player for a while. Bucktooth still is an effective player for the Stealth after Kilgour gave up on him this past year. But Kilgour hit gold twice, even if the Bandits only benefitted once – Smith has been Defender of the Year and Shattler was the league MVP in 2011 for the Roughnecks. In his last five drafts, he’s only had two picks. In 2010 he picked Kyle Clancy right before the Rock took Stephan Leblanc. In 2011, Kilgour chose Travis Irving who is a decent defender (and notched the second-most penalty minutes on the team last year), but is hardly what you’d call first-round material. Of course, it’s easier to see all of this with our 20:20 hindsight. As for trades, when was the last time the Bandits were involved in a blockbuster trade? They’ve been involved in trades for big-name players like Tracey Kelusky, Luke Wiles, and Anthony Cosmo, but they’ve been acquired for draft picks. In fact, the most recent Bandits trade I can find that involved players going both ways was back in July of 2009 when they sent Phil Sanderson to the Rock for Chris Driscoll. Why have the Bandits only had two first round draft picks in the last five years (and none for the next two)? Because they traded their picks away for Phil Sanderson, Mike Accursi, Tom Montour, Tracey Kelusky, and Anthony Cosmo. There’s nothing particularly wrong with any one of those deals; in particular, the Accursi deal was fine and Cosmo started shaky but played great down the stretch. The Kelusky deal looked good at the time – in fact many people thought the Roughnecks got hosed. The Bandits couldn’t have known that the next two seasons would be the worst of Kelusky’s career. But when you trade away that many first round picks, all for established players, it’s clear that you’re not interested in getting younger. And indeed, the Bandits are one of the oldest teams in the NLL. But the weirdest move was the trading of Chris Corbeil to Edmonton for draft picks, all the while saying they did want to get younger. You don’t trade away a 23-year-old budding star for a draft pick when the best case scenario is to draft someone as good as who you traded away. At the end of the day, the Bandits needed this change. They have been known for years as a gritty, tough, physical team – not surprisingly, traits that we associate with Kilgour himself. This worked really well during the middle part of the last decade, but the Bandits are aging and their style was less effective last year than in the past. If the league continues to crack down on head shots, their often undisciplined system will continue to decline in effectiveness. Would Kilgour be likely to pass on drafting a big strong tough defender in favour of a smaller, faster transition guy? Probably not, just ask Damon Edwards. Would he trade long-time Bandits like Mark Steenhuis, Chris White, or Billy Dee Smith? Again, probably not , but a new GM might. Not saying that these players need to be traded, but a fresh view of the Bandits and some outside-the-box thinking might be needed to make the Bandits successful for years to come.